Topic : "Futuristic racing game (concept art request)"
It's a futuristic arcade racing game, heavily inspired by titles like Motorhead, WipeOut and Nitronic Rush/Distance. So far I was aiming for a Tron/Wipeout-style atmosphere, with edged shapes and simple textures with glowy segments. 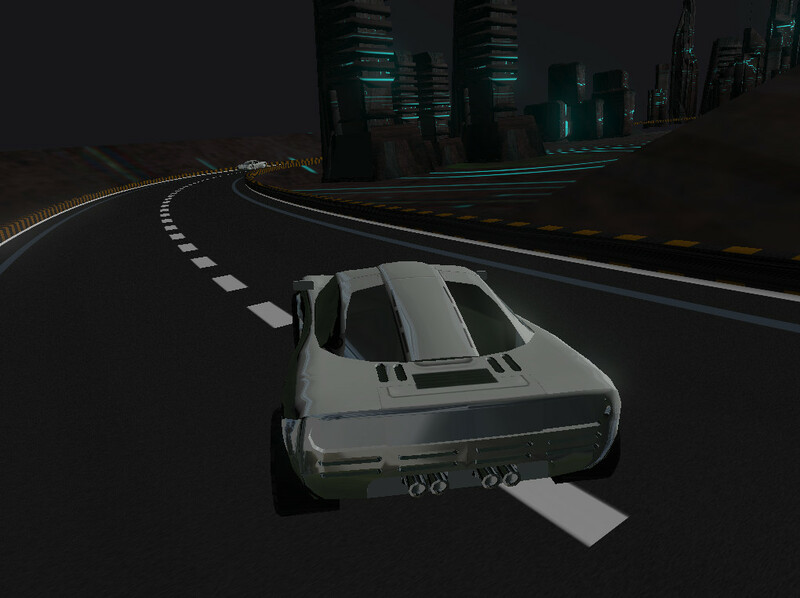 In its current state, you can drive around a simple track, basic controls and simple collision detection are working. Special care was taken to optimize the rendering engine for constant 60 frames per second. My short term goal is to build a more polished and complete prototype demo (single track). The next step is to develop the style and mood in more detail and then to build corresponding 3d geometries to populate the level environment. So I'm looking for inspirational concept art in the form of speed paintings, mood boards or paintovers (e.g. based on the screenshots above) to help define the look of the game. Maybe you even already have some existing sketches that might fit the theme? Your designs will be an integral part to further promote the project as well - full credits will be given of course. Honestly your best bet is probably to just look up a bunch of Syd Mead work and use that as a rough thematic/stylistic base, then get a talented 3d artist or two to help flesh out from there.